Happy 1 Year Anniversary to NomadicDispatcher.com! As with any birthday or anniversary, I like looking back on the past and ahead to the future, all the good as well as the not so great. It’s been a wonderful, adventurous year overall. My travels have taken me far away from home, down the street and everywhere in between. But my travels most often have taken me to a place inside myself. Ahead are 5 things I’ve learned about myself and about travel blogging. 1. Inspiration is everywhere. Whether it’s sitting in front of my computer and googling some key words about my next trip, or chatting up my favourite barista at Starbucks, any small notion of an interesting adventure will spark my interest and I’m instantly driven to learn all I can about someplace new. I used to buy endless copies of the Lonely Planet, even just to dream about places I might one day visit. This past year has taught me that the best ideas about travel come from talking to people who have been, talking to people that dream of going somewhere, and reading blogs that come up on my google/twitter searches that give me a glimpse into destinations that motivate me to answer that overtime callout and finance my next experience. 2. The internet provides an amazing power to connect to the world. This may sound like an obvious statement – since the beginning of webpages, the ability to gather information from almost anywhere in the world has been instantly available, depending on how quick the internet connection was. By having my own website, what I love the most is how people from all over the world can connect to me. Through journals, emails, and facebook notes I used to keep all my friends and family that were interested in my travels up to date. I expected my website to be a lot like that. Last November, I visited Elephant Nature Park in Chiang Mai, Thailand and I posted my first “Tale in 10 Frames” about my experience. 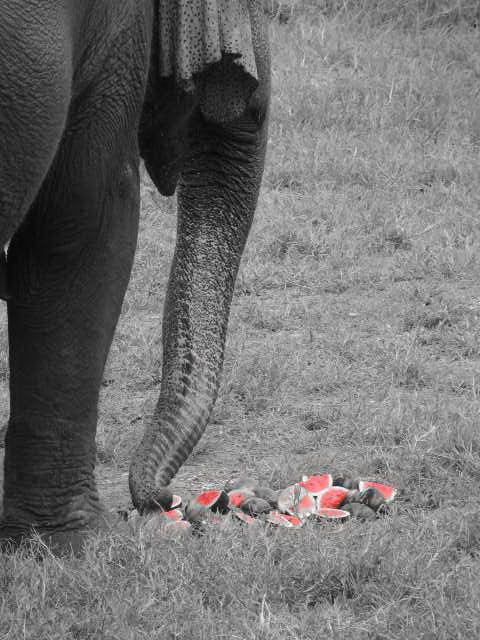 Elephant Nature Park retweeted my post and that day I had over 160 hits to my website from all over the world. People I’d never met, that weren’t friends with anyone I knew, were using their time to read about my travels. It was an incredible rush. As much as I love to be inspired, the power of inspiring others to see the world, or take part in a wonderful experience that they may have overlooked, is what inspires me to write. 3. Travel Local. Recently there has been a trend to buy local food, and shop local stores. I have to say, I really like this trend as supporting your local farmers, and local shops only enhance your own neighbourhoods and economies. But travelling locally? This year I’ve probably discovered more of Toronto than I have the previous 30+ years I’ve lived here. I’ve taken beer tours, ghost tours, neighbourhood tours, and even spent days off walking through places in Toronto I’ve only ever seen on a map and discovering this incredible city. I’ve developed a pride for my hometown, and love showing it off to visitors and locals alike. 4. My bucketlist will forever be changing. 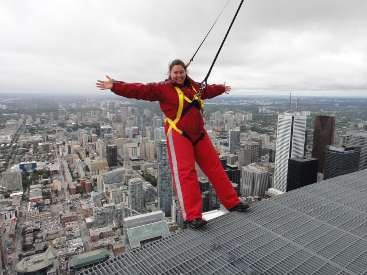 Every so often, I reread my bucketlist. I try to think of items that are easier to do, and more attainable this year rather than sometime in the far off future. I add new things to my bucketlist as I am inspired by others to experience them (see point #1). But I also delete items off my bucketlist even though I have yet to achieve them. My interests change, my priorities change and therefore my bucketlist changes. I once believed that bucketlists were set in stone, but now I want my own personal life list to be more flexible and always open for change. Maybe it’s just a part of getting older, I’m seeing more gray than black and white. I’m still more comfortable with planning and list making than I am with travelling on a whim…but I’m more tolerent of the unexpected. Baby steps. 5. I have a lot to learn. 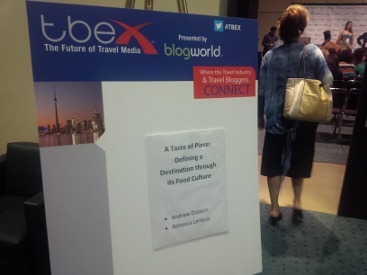 I attended a TBEX (Travel Bloggers Exchange) conference this spring in Toronto, and sat in on lectures from travel writers, photographers, business owners and others experienced in all fields of travel. I sat beside people just like myself who were starting out travel blogging, and others that had thousands of followers and seemed like travel writing icons to me. During one of the lectures, one of the speakers suggested to his audience to find a travel niche. It’s been 4 month since that lecture and I’m still wondering what my niche is…and whether or not I want one at all. As much as I love budget backpacking, I love 5 star hotels and all their luxuries just as much. I love adventures to places no one I’ve met have visited – but I wouldn’t turn down a chance to visit NYC again and again. I’m not sure where I want to head to over the next few years. It might be down the Danforth to try a new restaurant. It might be to Mongolia. Either way, I hope to keep writing…and fingers crossed, hope to inspire wanderlust in others.